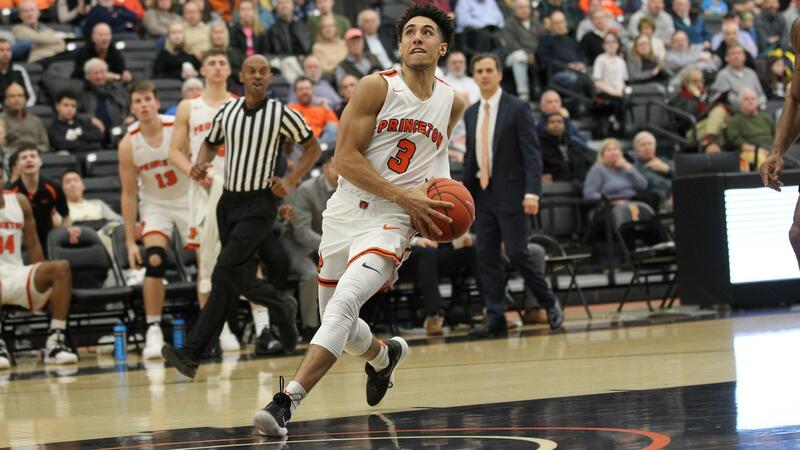 The basketball court issues for Princeton star Devin Cannady may have been resolved, but his problems in another kind of court are still before him. After playing in two games for the Tigers last weekend, both of which his team lost, incidentally, the Tigers’ senior high scorer is now scheduled to appear in Princeton (N.J.) Municipal Court on Monday, February 25th. Cannady, as we have reported recently on Roundballdaily.com, was arrested on January 18th on three charges, the most serious of which was assault on a police officer. For almost three weeks his case remained in the Superior Court Prosecutor’s Office for Mercer County in Trenton, N.J. for possible felony indictment. Then late last week it was being sent down to the Princeton Municipal Court, which oversees such matters as misdemeanor cases. So far the charges against him have remained as they were, but in view of the new venue they are likely to be modified or reduced. One unconfirmed report has it that the indictable charge, aggravated assault on a police officer, has already been changed to a disorderly offense. Almost simultaneous with the announcement by the Prosecutor’s Office that it would defer to the lower court, Princeton’s Department of Athletics had already made and completed its own investigation. On the strength of that it decided to reinstate Cannady as a member of the basketball team. When Cannady showed up in a Princeton uniform for the Tigers’ game against Yale on Friday (Feb. 8) in New Haven, it took most observers by surprise. 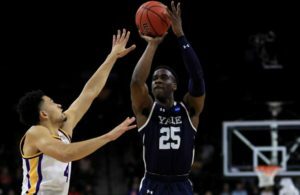 Even Yale coach James Jones said he did not expect to face Cannady that evening until, a few hours before game time, the Daily Princetonian published a report stating that its star player would be back in action. 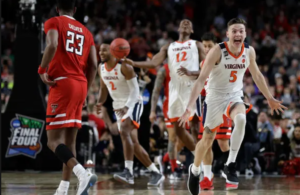 Although he did not start, Cannady came off the bench and saw 35 minutes of playing time against Yale, the most of any of the starters, and only five minutes short of the regulation forty. Perhaps showing signs of rust from not playing or practicing for those weeks, he was successful on only 3-of-12 shots and finished with eight points, far less than the near 20 per game he had before his suspension. 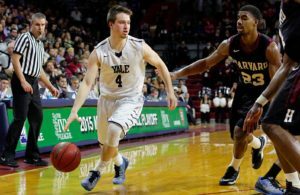 Yale won, 74-60. The decision that he could play was revealed only a few hours before the Tigers and Yale tipped off in New Haven. Cannady had been suspended from the basketball team almost immediately following his arrest on January 18th, when he was accused of three charges stemming from an early morning disturbance at a Wawa off campus convenience store. He allegedly swung at a campus police officer from the university’s Department of Public Safety, or “PSAFE,” as it is referred to informally by students. The blow from Cannady was said to have glanced off his hand. The Princeton senior, who is from Mishawaka, Indiana, was immediately and indefinitely suspended from the basketball team. The next game for Princeton was against Wesley College, a Division III school in Delaware. With Cannady on the bench in street clothes, Princeton won, 91-62. Princeton then went back to the Ivy League and won at Columbia and Cornell, again with Cannady not playing. So far, no harm, no foul. Princeton University takes issues of student conduct very seriously and responds in accordance with established policies and procedures. The University investigates and adjudicates each individual case in a thorough and thoughtful manner. With regard to an incident involving Devin Cannady, the University has completed its investigation and adjudication. Based on the result of the University’s disciplinary process and in keeping with its policies, procedures, and precedents, the Department of Athletics has determined that Cannady has served the appropriate suspension from competition and is reinstated. While playing last weekend Devin Cannady undoubtedly had a lot more on his mind than basketball. It will probably continue that way until at least February 25th, which is due to be his day to be in court rather than on one.